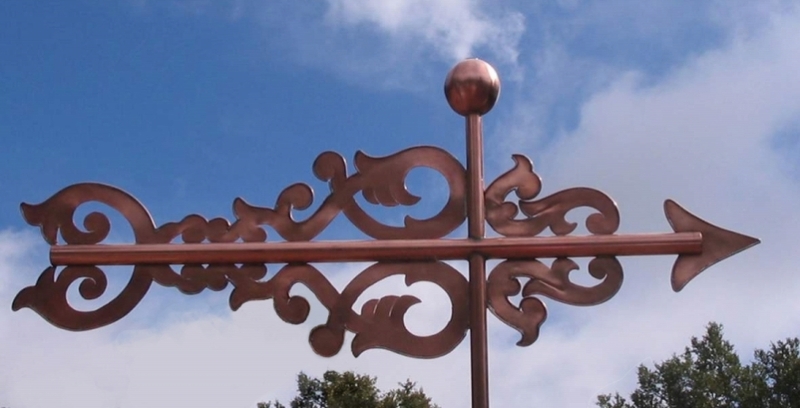 Our Italian Banner Weathervane was styled after a weather vane our customers saw in Italy. They brought us a blurry photo they took while on a summer vacation and asked if we could replicate it for their new home. 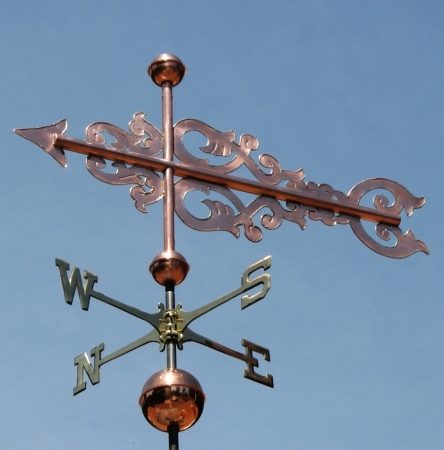 (They also ordered a Boxer Dog Weathervane for their new garage.) We did need to take some liberties with the design on this Italianate banner, to adjust for the fuzziness of the original. We were all so happy to see the beautiful silhouette this delicate banner creates against the skyline, especially when the copper begins to darken as it weathers. Banner weathervanes originally evolved from cloth banners depicting coats of arms which were flown from castle ramparts. The cloth banners wore out too quickly and were eventually replaced with banners made of copper. 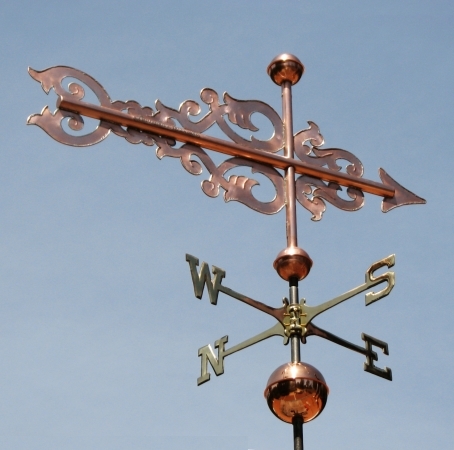 Some banner weathervanes still depict coats of arms but many evolved to more abstract or functional designs over the centuries. 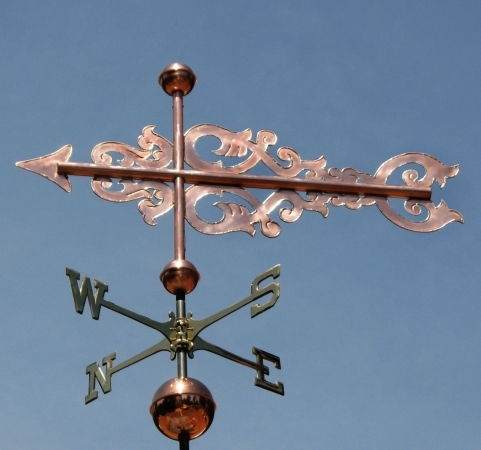 The Italian Banner Weathervane is just such an example. And some interesting etymology for those of you who enjoy words: Banner-making is an ancient craft. The word derives from the Latin word bandum, a cloth out of which a flag is made (Latin: banderia, Italian: bandiera, Portuguese:bandeira,Spanish: bandera). The German language developed the word to mean an official edict or proclamation and since such written orders often prohibited some form of human activity, bandum assumed the meaning of a ban, control, interdict or excommunication. Banns has the same origin; meaning an official proclamation and abandon means to change loyalty or disobey orders, semantically “to leave the cloth or flag”.